It’s easy humor to look at another culture and laugh simply because they call things different names from what you call them. On the scale of humor sophistication, it falls somewhere between chuckling at a person who falls down and putting a blanket on the neighborhood’s dumbest dog and watching him roll and fumble in a futile effort to escape this cozy prison. All the same, I still think it’s funny that the Japanese grocery store near my house sells coffee products called Creap and Blendy. Note: That’s two different products. I’m pretty sure they’re considered to be appropriately named in Japan. But then again, I’m also pretty sure some wonderful parallel dimension exists in which Creap and Blendy are not coffee products but police partners who solve crimes on the mean streets of the big city. The fact that part of the advertising slogan for Creap is "my Creap" and that there are actual "Creap Cafes" makes the whole thing even weirder/sillier. Also don't forget the Crunky chocolate bar, which is possibly one of the best Japanese portmanteaus ever. I hope that creap is a combo of cream and cheap. Please tell me it is. Then I guess "Creap" is better than "Creapow." 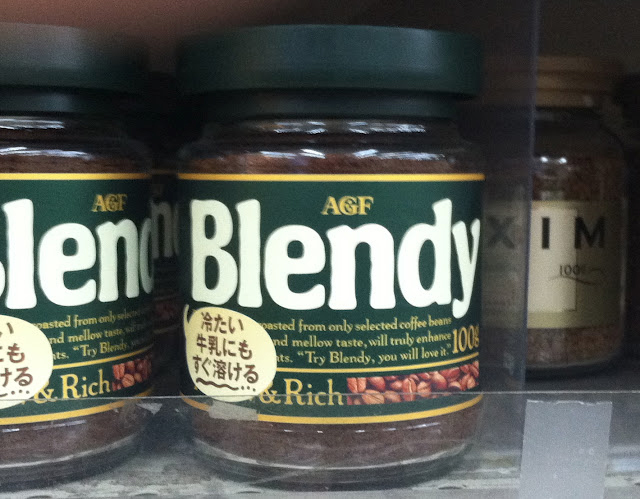 I want there to be an ad campaign involving a blend of "Blendy" and "splendid." 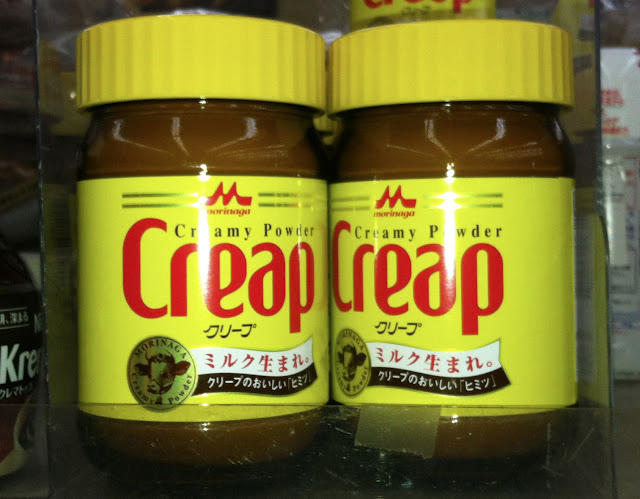 Since you bring it up, I think it's amusing that a Japanese person might hear the song "Creep" and wonder why anyone would write such a sad tune about powdered creamer. I'm sure it's happened. The text in red says "milk birthplace"?? The fats in Creap come from milk, rather than vegatable oil, the way Coffee-Mate works.